I hope everyone had a good start of the new year! I'm writing you as I have a couple of concerts coming up in February and March and I would like to share these with you. This Friday 6th February I will be in Jazzclub Birdland59 in Ettlingen (close to Karlsruhe) with piano player Frank Harrison and with our highly esteemed colleague and exceptional double bass player Davide Petrocca who organised this concert for us. We've played once before in trio and that was such a wonderful experience that we definitely wanted to do that more often. Here's the chance to come and listen to us. This Saturday 7th February Frank and I will be performing a unique concert at Pianos Kelly in Niederanven. We will improvise on the art of painter Sonja Soyer, exploration artist Laura Buhai and installation artist Irene Vlak. You can find more information and directions on our website: Amuselux - Art inspires Music. So, if you're in for an adventure, come and listen to our interpretations of these exciting art pieces. 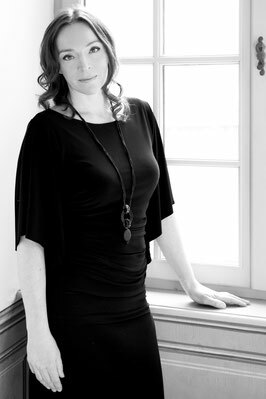 Friday 27 February: concert at the renowned private club Cercle Münster in Luxembourg-Grund. Frank and I will be presenting the songs from our new CD in the beautiful library of the club. You can have a wonderful dinner at 19.00 hours or just come to the concert at 21.00 hours. More information can be found here. Reservation recommended! Saturday 28 February: Frank and I will perform a charity concert for the Kinderschutzbund Trier at the Kurfürstliches Palais in Trier. The concert will start at 19.30. Entrance is free but a donation to the charity would of course be very much appreciated. I would like to thank Elke Boné for organising this concert and for her endless commitment and dedication to help the less fortunate children in Trier and surroundings. Please also find attached the flyer for this concert. My new duo Cd "Beneath the Blue" with Frank Harrison is of course still available (on my website and on Itunes). You can listen to a song selection from the album here on Soundcloud. We already got a wonderful review in the UK and hopefully more will follow. 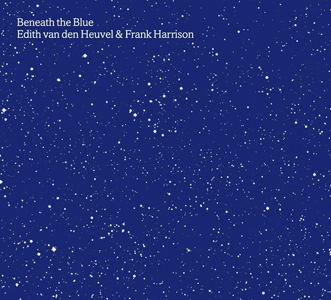 You can read the review here: 'Beneath the Blue' – Edith van den Heuvel & Frank Harrison. And I hope to share the video of our release concert with you soon. Well, it would be wonderful to see you at one of my concerts. Wishing you all the best and stay tuned!